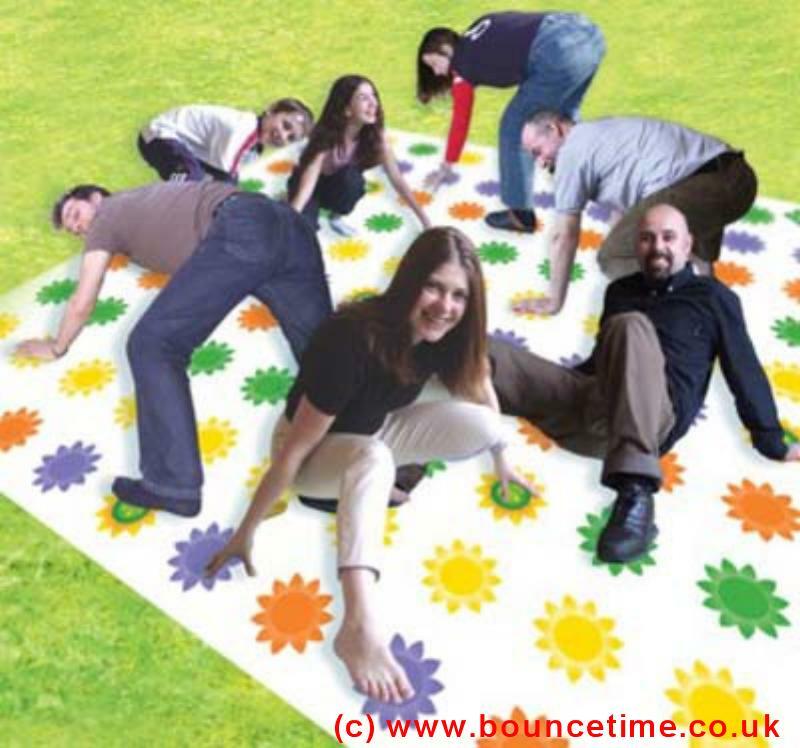 Get Knotted Twister Giant Garden Game - Bouncy Castle Hire 4 Kettering, Corby, Wellingborough, Rushden, Raunds, Rothwell, Desborough, Market Harborough, Adult Castle, Slide, sumo wrestling, Sumo, Crazy Games, Giant Garden Games, Northamptonshire. Our inflatables are ideal for kids parties, adult parties, Garden Party and a corporate or business event. Large and small events are catered for and we are fully insured. We offer cheap and discount prices in school holidays and for larger events. Massive fun to be had, with this giant party game for up to 30 players. Throw the two giant inflatable dice to find out which part of your body you have to place on which colour flower. Then Get Knotted up with the others players to make the game more difficult for them. But beware, fall over and you are out of the game!